A sponsorship is a mutually beneficial exchange whereby the sponsor receives value in return for financial support or goods or services-in-kind provided to the organization. The relationship requires a formal written agreement or confirmation setting out the terms of the sponsorship, including any recognition to be provided to the sponsor, and must be signed by an authorized member of the sponsor and by Identity Theft Resource Center’s chief executive or designee. Tax receipts are not issued to sponsors. Sponsorships are usually considered business expenses and not charitable donations. They are typically funded from corporate marketing budgets. Sponsorships must comply with the organization’s policy on conflict of interest. The organization reserves the right to refuse or decline any offer of sponsorship at its absolute discretion, or to negotiate with the sponsor concerning any aspect of a proposed sponsorship. Sponsorships do not imply endorsement of products or services by the organization. A sponsorship does not automatically imply any exclusive arrangement with the organization. 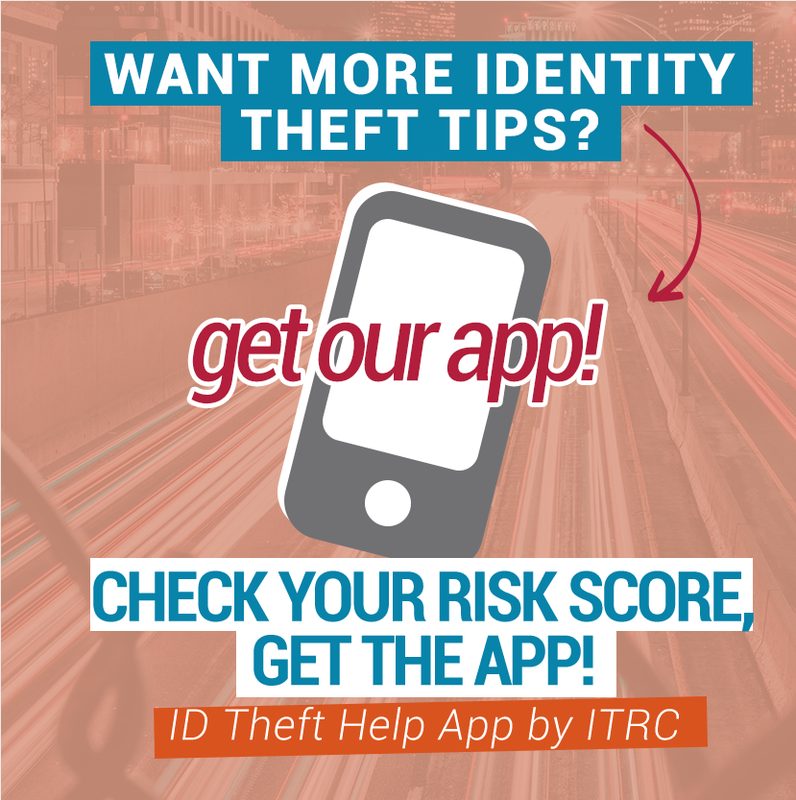 Identity Theft Resource Center’s chief executive, in concert with ITRC Management Team, is responsible for determining whether a sponsorship will be solicited and/or accepted based on an assessment of the best interests of the organization and the wishes of its members. Identity Theft Resource Center’s chief executive may refuse any sponsorship deemed at variance with the organization’s mission, goals, policies, and best interests. Be unambiguous and clearly understood by all parties. Avoid any real or perceived conflict of interest. Avoid endorsement of a commercial product, although ITRC will recognize products which in our sole estimate we believe are effective and efficient for use by consumers or businesses to reduce the risk of fraud and/or identity theft. Avoid partnerships with inappropriate individuals and organizations. Receive appropriate approval (see below). Be fully accountable to Identity Theft Resource Center’s board. • There must not be preferential treatment as a result of sponsorship, for example an expectation that a company will get favored treatment by Identity Theft Resource Center over a competitor. • Where appropriate, sponsorship should be arranged after publicly calling for expressions of interest to ensure there is no disadvantage to any individual or business. • Individual staff should not receive any substantial benefit from association with sponsors. Any commissions, substantial gifts, or other financial benefits should be brought to the attention of a supervisor. • Identity Theft Resource Center must retain internal control over any sponsored program, and sponsors should not have any input into internal operational matters relating to a project they have sponsored. Who Can Be a Sponsor? • Sponsorship arrangements will only be with individuals or companies held in high regard, and who continue to show by their actions that they value an ethical and professional manner of transacting business. • Sponsorship should be avoided with any business or organization that has a real or perceived conflict of interest, or that does not support the basic principles of the Identity Theft Resource Center regarding identity theft issues and ethical treatment of consumers and victims. • The sponsoring organization’s policies and procedures will be in concert with the corporate philosophy of Identity Theft Resource Center and not likely to cause embarrassment to the Identity Theft Resource Center. • All sponsorship activities and advertising shall comply with the laws and regulations of the United States, as well as relevant state and local laws. • Identity Theft Resource Center shall have sole discretion for determining sponsors and the display of sponsor logo’s and recognition. All sponsored programs will be recognized as such. • Recognition of sponsor products shall not be construed as an endorsement by the Identity Theft Resource Center. • Identity Theft Resource Center shall review all sponsorship advertising claims for consumer or business benefit and cost effectiveness and reject any unsubstantiated claims. • The Identity Theft Resource Center will not knowingly recognize any forms of products or services that contradict our stated philosophy regarding identity theft issues, or are determined in any way to be unethical or misleading to the intended consumer or business purchaser, or that we determine in our sole estimation do not represent a good value to the targeted consumer or business segment. • Sponsors shall not dictate the form or substance of any content appearing on a sponsored program for Identity Theft Resource Center. • Identity Theft Resource Center shall be directly responsible for communicating and ensuring compliance of its sponsorship policy in all venues and activities related to the sponsorship. • The Identity Theft Resource Center sponsorship policy will be available on Identity Theft Resource Center’s Web site.